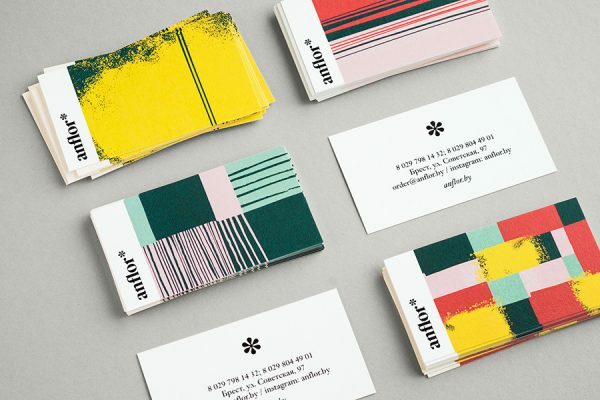 Angelina Pischikova designed these business cards for Anflor, a flower and décor studio. According to Angelina, the logo brings together asterisk mark and flower, playing with the idea that each bouquet carries a special, hidden message. 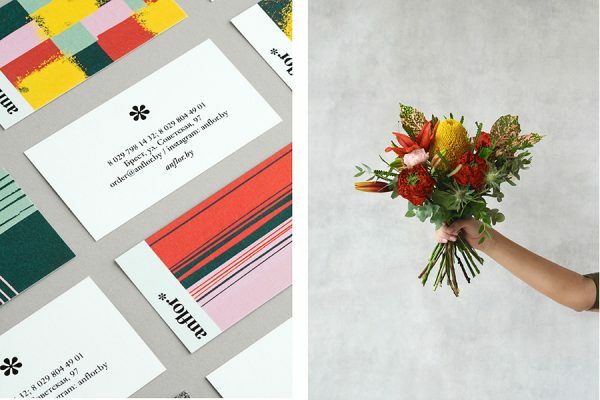 On postcards that attached to the bouquets, you can find a special note describes feelings to the receiver, accentuating that every bouquet is a part of something bigger! “Also, we made an emphasis on the beauty and freshness of flowers offered in the studio. This was reflected through colorful patterns referencing the endless flower fields.  ” Angelina added. The illustrations on the cards are unique and were manually drawn. 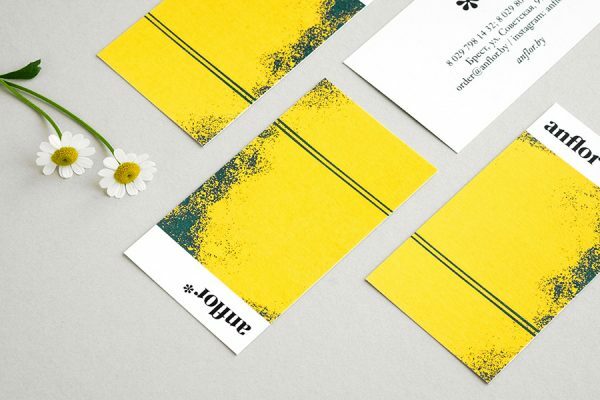 The color combinations were well chosen, giving that wonderful contrast and striking effect to the business cards!